If you are facing insider trading charges, call an attorney at Wallin & Klarich today. In 1934, the U.S. government established the Securities and Exchange Commission (SEC). The SEC is chartered to engage in market surveillance in order to deter unfair market practices such as fraud, market manipulation and misrepresentation. One of the primary purposes of the SEC is to investigate insider trading. Corporate directors, officers and major shareholders often have advanced inside information that can affect the future market value of corporate stock. Insider trading can be either legal or illegal. Corporate directors, officers and other “insiders” may legally trade securities in their own companies provided that the trade is reported to the SEC and is fully disclosed. However, illegal insider trading occurs whenever you buy or sell a security in breach of a fiduciary duty – a relationship of trust and confidence – while in possession of material information not available to the public. Insider trading violations may also include “tipping” such information and securities trading by the person “tipped.” For example, both a corporate executive (the “tipper”) and his spouse (the “tippee”) are guilty of violating U.S. securities laws whenever confidential information is shared between the two, resulting in an inside trade. Additionally, anyone who misappropriates (steals) information from their employer and trades stock on that information (either the employer’s stock or the company’s competitor stocks) is guilty of insider trading. While the SEC may pursue civil remedies against a person it investigates for suspected unlawful insider trading, only the U.S. Department of Justice may prosecute you for alleged criminal violations of U.S. securities laws. SEC Rule 10(b)5-1 defining insider trading is the result of the United States Supreme Court holding in United States v. O’Hagan, 521 U.S. 642 (2010). You had no knowledge of an illegal trade. Insider trading can be punished strictly by civil sanctions, or involve criminal prosecution, or both. Federal law authorizes what are known as “treble” damages if the SEC brings a civil action against you for violating insider trading rules. This means the amount you can be fined can be up to three times the amount of profits gained or losses avoided. How you are fined is typically up to the court and determined by whether you played a direct or indirect roll in the unlawful activity. If you are convicted in a criminal insider trading prosecution, you are subject to a maximum of $5 million in fines as an individual (up to $25 million for a business entity), up to 20 years imprisonment, or both fine and imprisonment. Additional prosecution may result from fraud-related charges that often accompany insider trading violations. Also, you may face other collateral consequences stemming from civil sanctions or a criminal conviction imposed if you are found to be in violation of U.S. securities laws. Are you facing insider trading charges? A person suspected of insider trading may face parallel investigations by both the U.S. Securities and Exchange Commission (SEC) and the U.S. Department of Justice. 1. You engaged in an actual purchase or sale of a security. Usually, this element is not in dispute, as monthly account records can confirm whether or not a security was transacted. 2. You were in possession of material non-public information. The SEC’s position is that it does not matter whether you used the non-public information in making your trading decision, so long as you had possession of the information, illegal insider trading has occurred. It has been debated by the courts whether possession alone, or actual reliance on the information should be the defining element in prosecution of illegal insider trading. 3. The information was material. The U.S. Supreme Court has held that information is “material” if there is a substantial likelihood that a reasonable investor would consider it important in making investment decisions. 4. The information was not publicly available. This element is generally not in dispute. However, potential arguments for or against you as to whether or not the information was public can be made if the source of the information was the result of rumors or was secretly leaked information about or by the company itself. Impending or potential litigation against the company. Wallin & Klarich has over 30 years of experience successfully defending clients facing illegal insider trading charges. The Wallin & Klarich attorneys know the defenses to insider trading charges. An affirmative defense to illegal insider trading exists if the insider can demonstrate that the trades conducted on behalf of the insider were conducted as part of a pre-existing contract or written binding plan for trading in the future. Only the omission or misappropriation of material information can be used against you in an illegal insider trading case. If your attorney can successfully demonstrate that you relied on information not likely to influence an investor’s decision to buy or sell a security, you have a defense to the insider trading charges. 3. Material Information was Public. Publicly available information affecting the sale or purchase of a security is an affirmative defense to illegal insider trading. Your attorney may be able to argue that the information you relied upon, although not widely known, was otherwise publicly disseminated in advance of your trade. A U.S. prosecutor is required to show that an otherwise “willful” act to commit a securities fraud must have been a “purposeful” or culpable intent to knowingly violate securities laws. You may have a legal defense to insider trading if your attorney can demonstrate that your reliance on inside information did not rise to the level of criminal culpability necessary to prove guilt. However, you may still be liable for civil penalties in lieu of being convicted of a crime. 5. No Knowledge of Unlawful Activity. The person who trades on the information has likely broken the law; but you, unaware that someone violated your confidence, are generally not guilty of a crime if you haven’t attempted to profit from the information yourself. However, you may have breached your duty of confidentiality by being careless with the information in the first place. If you are found guilty of insider trading charges, you could face a hefty jail sentence. If the SEC suspects you of committing a securities fraud while trading on inside information, the federal regulatory agency can file a civil complaint against you for injunctive relief and monetary damages. While no one looks forward to a lawsuit, it is preferable to a Department of Justice prosecution for alleged criminal activity in violation of U.S. securities laws. Whether you face criminal prosecution, civil liability, or both, will depend on the facts of your case and the circumstances of the unlawful activity. For example, Martha Stewart was found guilty in March 2004 of conspiracy, obstruction of justice and making false statements to federal investigators. The media icon received a five-month term in federal prison following the sale of her Imclone stocks upon receiving advanced, confidential knowledge of an adverse decision by the federal Food and Drug Administration which was expected to cause Imclone stock prices to fall. Stewart was also sued by the SEC in a related case that was eventually settled. Under the settlement, Stewart agreed to surrender $58,062 (including interest from the losses she avoided), as well as pay a civil penalty of $137,019. The maximum sentence for an insider trading violation is 20 years in a federal penitentiary. The maximum criminal fine for individuals is $5,000,000, and the maximum fine for “non-natural” persons (such as an entity whose securities are publicly traded) is $25,000,000. If you violate insider trading laws, you may become subject to an injunction and may be forced to disgorge (surrender) any profits gained or losses avoided. The civil penalty for a violator is subject to “treble damages”; which means you may be liable for an amount up to three times the profit gained or loss avoided as a result of the insider trading violation. A natural person or an entity controlling an insider trading violator faces a civil penalty not to exceed $1,000,000 or three times the profit gained or loss avoided as a result of the violation. The controlling person or entity must have had knowledge of or recklessly disregarded the fact that the controlled person was likely to engage in the acts constituting the insider trading violation and failed to take appropriate steps to prevent the acts before they occurred. Additionally, the violator and/or the controlling party is subject to being sued by a party adversely affected in illegal trade. As an incentive, the SEC may place bounties on persons who provide information leading to the imposition of the civil penalty. Non-punitive collateral consequences may impact you professionally as well. For example, in addition to civil and criminal penalties, Martha Stewart agreed to a five-year ban from serving as a director, CEO, CFO, or any other officer role responsible for preparing, auditing, or disclosing financial results of any public company. A violation of insider trading laws also is likely to adversely affect any professional licensure you hold. You may be subject to disciplinary proceedings by a state licensing board, which could result in suspension or revocation of your license to practice in your professional field. Are you suspected of insider trading? Here are several Frequently Asked Questions about this area of federal law. 1. What exactly is illegal insider trading? Insider trading violations may also include “tipping” such information, securities trading by the person “tipped,” and securities trading by those who misappropriate such information. 2. What are examples of material, non-public information? If you are suspected of insider trading, continue reading to learn more. 3. Is it ever legal to engage in “insider” trading? It is perfectly legal for corporate directors, officers and shareholders and other “insiders” to trade their own company stocks, provided that the security is registered with the SEC and the trade is fully disclosed. 4. If I am arrested for engaging in illegal insider trading, will I go to jail? It all depends on the outcome of the investigation into your securities transactions. Both the SEC and the U.S. Department of Justice may investigate you. However, only the Attorney General’s Office may file criminal charges. Often you face parallel civil and criminal investigations by both federal agencies. You won’t go to jail if the SEC files suit against you and wins a judgment at a civil trial, although you likely face substantial monetary penalties and other types of sanctions as the result of an injunction. You can be sent to a federal prison for up to 20 years if you are convicted of illegal insider trading. If you, a family member, or a business associate being investigated or has been arrested following a federal investigation of insider trading, you should speak with one of our knowledgeable federal fraud defense attorneys at Wallin & Klarich immediately. Hiring an attorney from Wallin & Klarich to represent you is your best chance to avoid the most serious consequences of an illegal insider trading conviction. 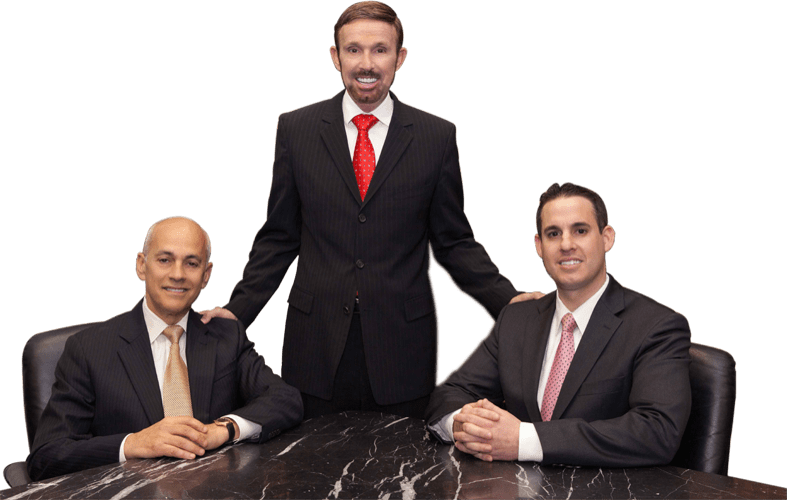 Our attorneys at Wallin & Klarich have over 30 years of experience in federal court successfully defending our clients facing criminal allegations of violating federal laws. We have offices conveniently located in Los Angeles, Sherman Oaks, Torrance, Tustin, San Diego, Riverside, San Bernardino, Ventura, West Covina and Victorville.